Oh my goodness. 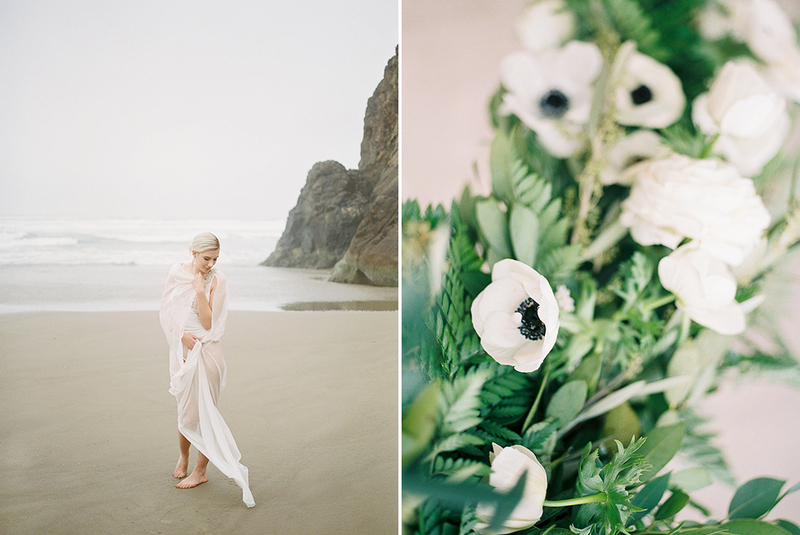 This Cannon Beach shoot turned out beautifully, but it does not compare to the beauty that was in person. I felt so inspired and so rejuvenated by the concept of this friendship editorial - two women, best friends, preparing to devote their lives to their soon-to-be spouses, celebrating their forever friendship with one another. Instead of doing the traditional rehearsal dinner, they wanted to have a special dinner on the beach (just the two of them), where they grew up and grew from girls into women, side by side. In our vision, they wanted portraits commemorating their friendship, while still reflecting their individual strength, beauty and uniqueness. It was important for these portraits to be of both of them together to capture that moment in time. But also to have individual portraits of themselves as women, representing the last night of their true independence. 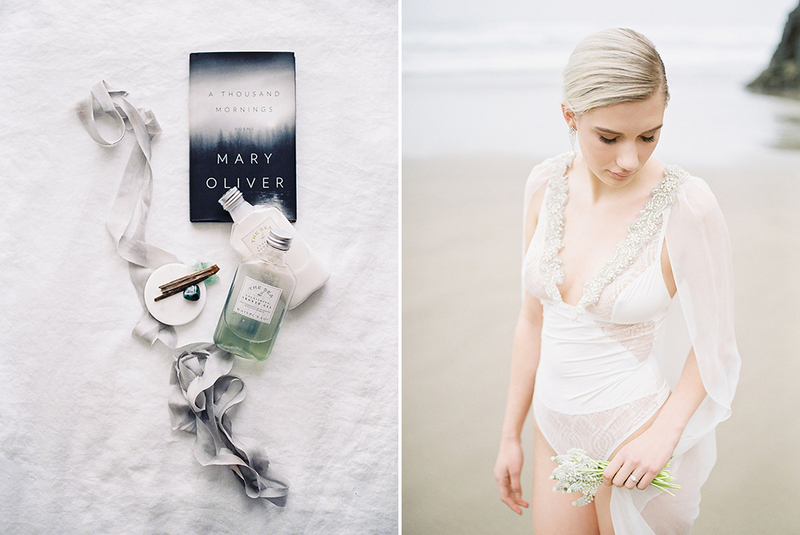 One bride-to-be is a little more romantic while the other is a little more wild and free. This is reflected in one wearing a beaded, sheer grey a-line gown while the other wears a more fluid, black, gown with an open back. Both are modern, minimal, and organic in aesthetic. The more traditional, romantic bride wanted to do a beach boudoir shoot for her soon to be husband and these two best friends started off doing that in the morning, wrapping up with an intimate dinner under the stars, followed by watching the sunset and sitting by the fire (something they had done with one another for the past fifteen years). We were inspired by the raw, rugged feel of the pacific northwest and all the neutrals found in nature there (the sands, greys, and greens). We kept the brides barefoot to represent this connection to nature and just being authentic and themselves running along the beach and celebrating their friendship and the excitement of what was to come. "